I’m Fyen Arceo, one of Apulit Island Resort’s marine sports guides. 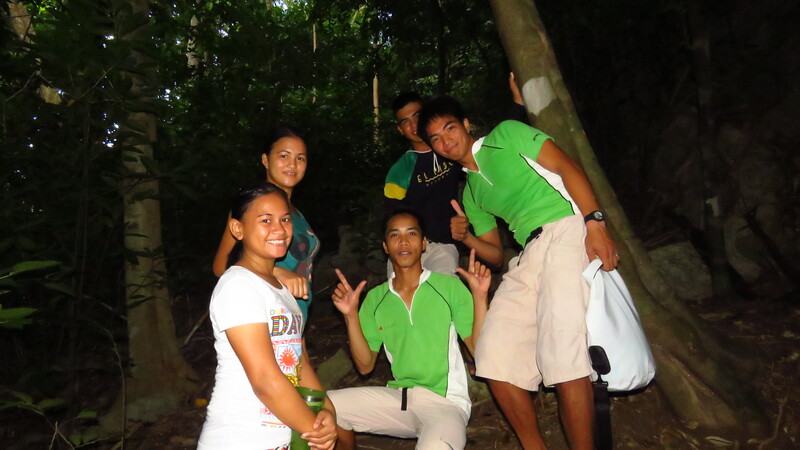 I took the El Nido Resorts Nature Interpretation Course last October, together with six of my colleagues. The Course is run by our Environment Department, and yehey, I finished at the top of my class! As guides, our guests expect a lot from us, from the names of the plants and animals found in Apulit and the surrounding islands and sea, to answering questions about the weather, the culture of Palawenos, and just about anything under the sun. It could be very intimidating, especially when you don’t know the answers! I heard a lot of good things about the Nature Interpretation Course from staff that have been at the Resort longer, and have always looked forward to taking the course, too. Attentive aren’t they? 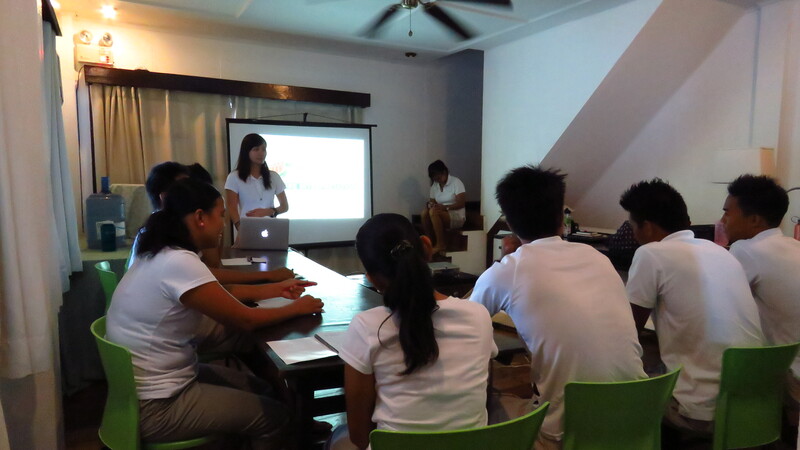 The participants of Batch 2 Nature Interpretation Training on their first day of lecture. Having fun while doing one of the field exercises! When my turn finally came, I wasted no opportunity to learn as much as I could. For five days, we had lectures, quizzes, role-playing, and field exercises. I realized how diverse the natural environment around my working place is, and how special some of these animals and plants are. I never knew that some of them may be found only in Palawan and nowhere else in the world! I also realized how little I knew about marine invertebrates, so I listened very well and found it to be the topic I enjoyed the most. I put my new knowledge to good use as soon as I finished the training – when my guests asked what it was stuck on a coral boulder, I confidently identified it as the golden sea squirt, something that I did not know before! I also learned that guiding is not just about knowing how to identify living things. It really is about telling the story of Apulit to our guests – its biodiversity, the people on the island, and what we do to make delightful experiences for our guests while we protect our natural environment. Guiding is also keeping our guests safe and satisfied, and one of the best ways to do that is to plan well for every trip. I realize that not all resorts train their guides the way our company does. This makes me grateful and inspired. Every night, even after a long and tiring day, I make sure that I review my notes and seek new information that I may share with our guests. This gets me excited to do better each day. The marine sports guides and guest activity coordinators of El Nido Resorts Apulit Island presenting their NI certificates, a proof of their hard work. Next Miniloc Island Resort Wins “ENR’s Best in Waste Segregation” Award.